The median house price is often quoted in the media to give a sense of what house prices in a particular area are doing. But what is the median price and how much attention should we pay to it? The median price is the middle price of properties sold in an area over a specific period of time. So, for example, if 100 properties are sold in a suburb over a three month period, the median price is the middle price when those prices are ranked from lowest to highest. We see the median price as a more realistic indication of house values than an average price, which may be skewed in any one month by the sale of a very high priced property. So, where can I find the median house price, and how valuable is this measure to property investors? Changes to the median value indicate how prices move in an area over time and can tell us how stable prices have been over a longer term. The median house price can also give you clues about the price range you should aim for when looking at buying property. 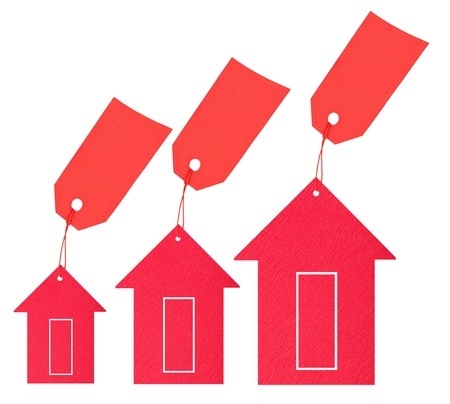 We recommend you buy properties within the range of +/- 15% for the suburb. Higher than this could indicate the property is overpriced, has been overcapitalised, or may be hard to re-sell. Less than this may indicate the property has some defect that makes it difficult to sell. Alternatively, it could be a bargain – talk to us before you make up your mind! The median house price is one tool in your property investment arsenal – it should not be used in isolation as the sole means of determining whether a property is suitably priced or not, but it is a handy measure when used in conjunction with other due diligence research. We suggest talking to us so we can look at all the indicators together to get a more accurate picture of what prices are doing in your area. The Australian Bureau of Statistics (www.abs.gov.au) has a lot of detailed data on the movement of house prices. There are several websites (for example, http://www.realestateview.com.au/propertydata/suburb-profile/victoria/) that list median house prices for individual suburbs. Investor groups too usually publish data in monthly magazines. If it all looks like too much of a minefield, we can help navigate you through it.